Model: ROIDMI 3S. Bluetooth: Bluetooth 4.2 and above. Bluetooth Protocol: HFP/A2DP/AVRCP/SPP/BLE. FM: 87.5-108.0MHz. USB Ports: 2 USB Ports. Material ( Cable&Adapter): Stainless Steel. FM frequency: 87.5 - 108.0MHz. The maximum energy can reach 20W. ● Xiaomi 20W Qi Wireless Charging Pad. A new cooling hole is added to the bottom of the charging board, and a separate silent fan and heat sink is built in. The dual cooling system can effectively reduce the temperature rise during the wireless charging process and improve the charging efficiency. Trending at $25.88eBay determines this price through a machine learned model of the product's sale prices within the last 90 days. (Other countries or remote areas such as Brazil and Russia may take longer.). We will resolve any possible problem or accident for you as soon as possible. A. Support 5V / 2.4A max fast charging for single USB output. B. Support 5V / 3.6A max fast charging for two USB output. Dual USB Output. Output 3.6A max, one USB output 2.4A. Still can improve the efficiency of charging and discharging. Applicable Model: For Xiaomi. Category: Cell Phone Accessories. We are committed to resolve all issues in a friendly and satisfactory manner. Rate (item arrived). United Kingdom. 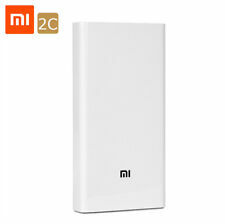 XIAOMI 2C 20000mAh Power Bank with QC 3.0 Fast Charging. 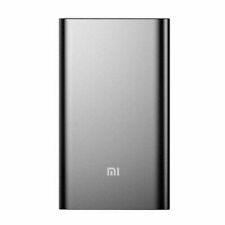 1 x 20000mAh Power Bank 2C. 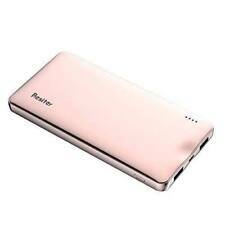 Battery Capacity: 20000mAh 3.7V(74Wh). Super-sized 20000mAh capacity. 1 x Micro USB Cable. 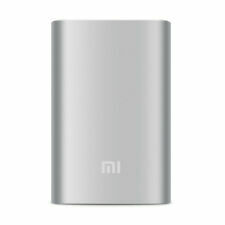 Only 358g,lighter than two pieces 10000mAh power bank(414g). Qi standard Phone stand for Samsung Note 8 S9 Plus iPhone X iPhone 8. Qi is an open, universal standard that works with any Qi device anywhere, which can achieve close range wireless power transmission. Take it at the best price. 100% ORIGINAL XIAOMI. Model: Xiaomi Power: 10w Max. Compatible with all smartphones that support wireless charging. Independent silent fan. - Fast wireless flashing. - Qi charging standard. The picture may not show the actual color of the item because of different photographing light, angle and display monitor. If item is defective after 3 months, you can still send it back to us. 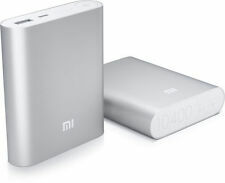 1 × Xiaomi 20000mah Power Bank. 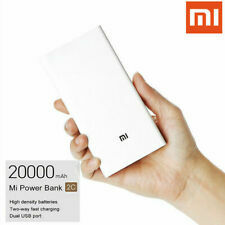 Capacity (mAh): 20000mAh. Connection Type: Micro USB Interface,Two USB Output Interface. Battery Type: Li-ion Battery. 1 × USB Cable. Capacity Range: Over 10000mAh. 1 Months for Battery/ Mod. Color:ROIDMI 3S. 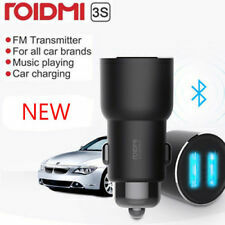 Roidmi Car Player App only can support Android 4.2 or above system and IOS 8.0system now.You can download Android APP from Roidmi offical website;. Bluetooth profile: Dual mode V4.2(BR/EDR). Output: 20W Max. for Xiaomi Mi 9. Colour: Black. The picture may not show the actual color of the item because of different photographing light, angle and display monitor. If item is defective after 3 months, you can still send it back to us. Material: Silicone. 1 x Power Bank Cover ( only one color ). Type:Fitted Case. Features:Only soft case. Original 80CM Micro USB Cable. Dual-hole USB interface 5.0V/2.4A,9.0V/2A Max,12V/1.5A Max Product Name:Xiaomi Car Charger Fast Charge Edition (18W) Product model:CC05ZM Interface type: Dual-hole USB interface Product size:61.8*25.8*25.8mm Single port output:5.0V/2.4A,9.0V/2A Max,12V/1.5A Max Dual port output:5.0/2.4A (15W Max) Packaging: 1*xiaomi car charger fast charge edition(18W) 1*Instruction manual. Interface type: USB Interface holes. - Dual USB Charing Port @ 2.4A X 2 ( Max @ 3.6A). - LED indicator light when plug in to the power. - 5 level of protection: Over load, over current protection, Over heat, Short circuit protection and.